Today we’ll highlight Thompson Okanagan All Star Team – TOAST. The Thompson Okanagan All Star Team (TOAST) is a Roller Derby team established in 2013 by several players in the interior of British Columbia, with the goal of sharing all the derby things between our diverse and far away regions. TOAST has seen players from Revelstoke, Penticton, Kamloops, Kelowna, Vernon, Armstrong and even Saskatchewan! More recently we have brought on players from the more northern regions of B.C. (Quesnel and Terrace). We come together to play tournaments (typically Flat Track Fever and Spokarnage) and we have hosted the Hicktown Throwdown in Armstrong B.C. for the past few years. We are thankful to have our guest coach Skimo from Terrance B.C. and our resident Coach, Just Doug who will keep us on-track in Calgary this year. 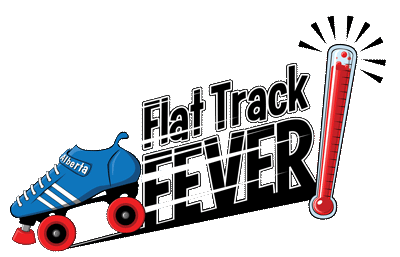 We are not an official league and as such we have struggled to keep the dream of a regional team alive sometimes, but here we are, ready for Flat Track Fever, one more time!